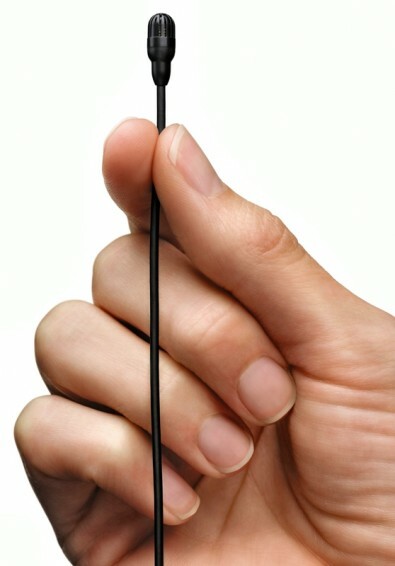 At NAB, Shure has announced TwinPlex, a line of premium subminiature omnidirectional lavalier and headset microphones. Designed to stand up to the toughest conditions, Shure said 5mm TwinPlex provides natural audio at both high and low frequency when professional vocal performance is a must. The new patent pending capsule technology offers best-in-class sound in an easy-to-conceal package. It is ideal for quick costume changes or discreetly placed under a wardrobe with no impact on sound quality. TwinPlex supports the diverse needs of broadcasting, theater, film and corporate presentations. The new line consists of four lavaliers (TL45, TL46, TL47, TL48) and an ultra-light, fully-adjustable headset microphone (TH53) in multiple colors with extensive accessories and options. The dual-diaphragm omnidirectional design yields high off-axis consistency and low self-noise creating lifelike vocal clarity and warmth. “The noise floor is really low, and there’s an appreciated lack of handling noise—clothing noise from the cable is actually nonexistent,” said Peter Schneider, owner at Gotham Sound. To simulate years of intense use, the ultra-thin TwinPlex cable was flexed, stretched and pulled to the absolute limit in internal tests. Available in 1.1 mm and 1.6 mm options, the paintable cables are immune to kinks and memory effects, resulting in never-before-seen flex performance due to a spiral construction with redundant shielding.